Power away dirt and grease on contact. 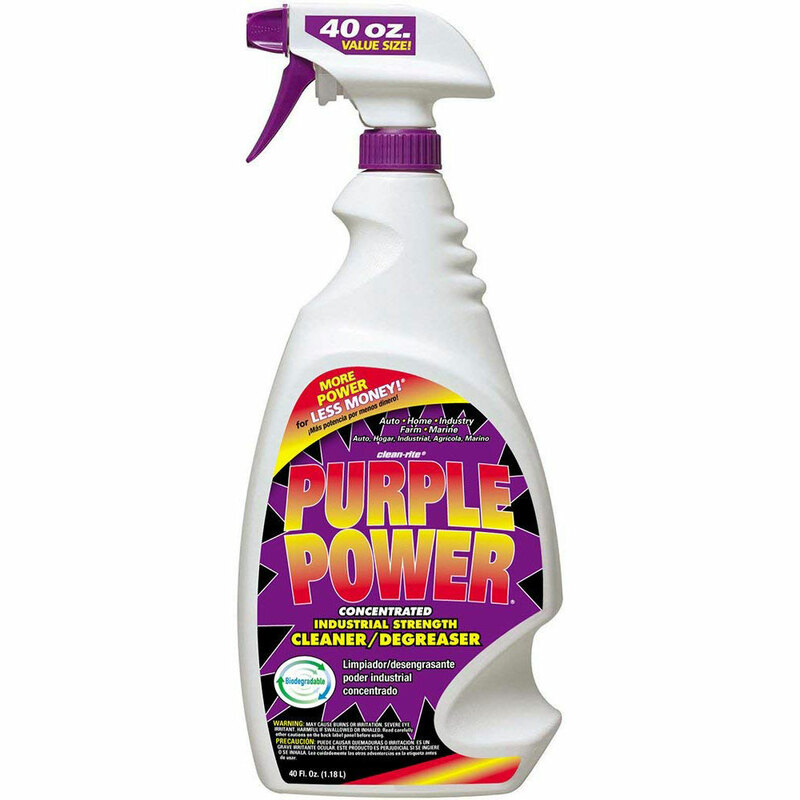 Rely on Purple Power for the toughest cleaning jobs. Purple Power Industrial Strength Cleaner/Degreaser works great on a wide variety of surfaces in auto, farm, marine, home and industrial applications. The concentrated formula penetrates quickly and then creates a barrier between the stain and the surface being cleaned. Biodegradable, non-abrasive, non-flammable, and phosphate-free. Directions: Test an out-of-site area to determine surface acceptance and colorfastness to avoid damaging surfaces, especially on aluminum, painted surfaces and fabrics. Wear rubber gloves, protect eyes and skin from direct contact. Use with adequate ventilation. Cover surface with Purple Power, allowing time to dissolve dirt and grease. Do not allow drying on surface being cleaned. Rinse with water. Do not use on exterior car surfaces, glass, painted surfaces, or wheel rims.